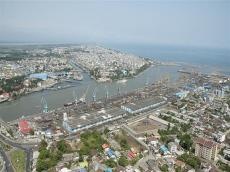 The Anzali Port may become a center connecting Iran to Europe, CEO of the Islamic Republic of Iran Shipping Lines (IRISL) Mohammad Saeedi said, Trend reports via ILNA. He was speaking at the presentation of storage facilities of the Khazar Sea Shipping Lines at the Anzali Port. Grain storage facilities with a capacity of 45,000 tons have been commissioned in the Anzali Port. The storage facilities will ensure direct employment of 80 people and indirect employment of 350 people.